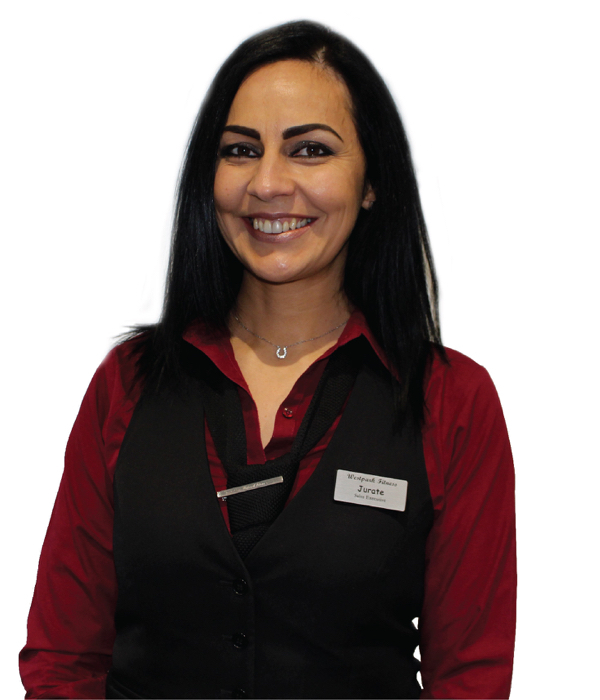 Hi my name is Jurate and I have been with the Westpark Fitness team for 13 years. My role here is a Sales Executive, helping people to start their fitness journey. I am responsible for memberships, accounts and renewals. Being a busy and very active mother of 3 my personal fitness goal helps with stress relief and managing anxiety. Body balance is my most favourite class, working on flexibility, helping to stretch, and works on both the body and the mind. I love CX class too, offering a very quick, intense and focused training. Great when you have a busy life, and want a quick, intense workout. I love taking my children swimming here and my oldest daughter Guste is part of Westpark Fitness team too, since she got her lifeguard qualification, and is now looking after the pool on weekends!